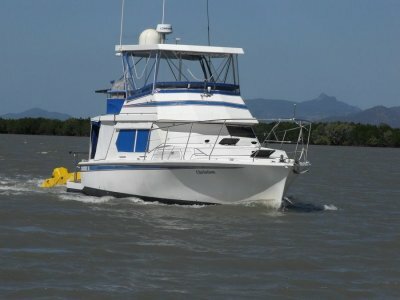 "Jukala is a 2003 Masters Aquarius 35' Flybridge cruiser. She is being offered to the market due to changes to the owner's personal circumstances. 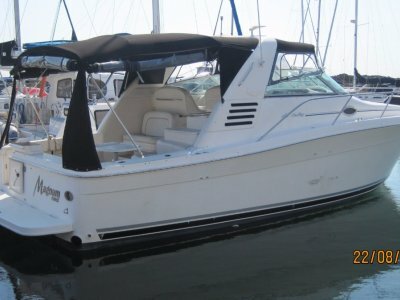 "Jukala" is an ideal coastal cruiser that provides economical and comfortable boating. The layout is functional and practical with galley to port comprising 2 burner cooktop, microwave and chest freezer with the dinette forward. An upright fridge / freezer is located opposite to starboard next to the lounge settee. 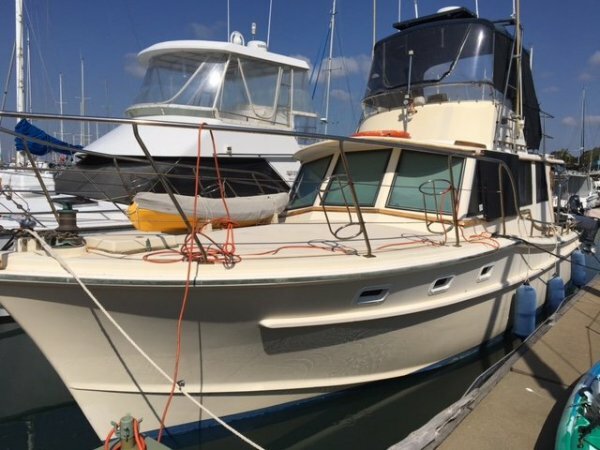 The lower helm is located forward of the dinette next to the companionway which leads below to a private double cabin and 3 bunks. The lounge settee also converts to a large single. The shower and toilet are accessed from the back deck immediately next to the cabin entry. The flybridge is accessed via a ladder next to the saloon entry and the foredeck can be accessed by walk around sides on both port and starboard. "Jukala" is powered by an economical 315hp Cummins engine which cruises at 10knts averaging 10 - 12 lts/hr. 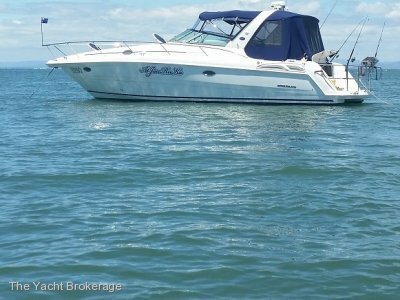 A new $12k Simrad electronics package has been recently fitted and she has recently been slipped with new antifoul, prop speed and anodes and is ready to go. Owners are keen for a quick sale and have advised to present all reasonable offers. 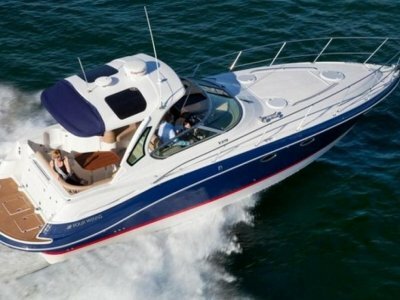 Simrad NSS12 GPS/Plotter/Sounder, TMQ Auitopilot, Simrad NSS8 in flybridge - same configuration as lower helm.